I’m linking up with The Broke and the Bookish for their incredibly awesome meme: Top Ten Tuesday. This is a meme involving lists, peoples. LISTS! I love lists. This week’s prompt is: Top Ten Things On Your Bookish Things (That Aren’t Books) That I’d Like to Own. Which I didn’t look ahead to see, and therefore covered a few of these things on my Bookish Bucket List a few weeks ago. Ah. My fabulous brain. I’m just kidding, brain, don’t be offended and leave. I need you in my life. I am utterly obsessed with Alice in Wonderland (and The Moth…keep calm, Emily and Kelly, you knew it was coming) so I absolutely need these shoes from @CoraHandPainted on Etsy. All of these iPhone cases. Except, you know, I’d actually need an iPhone. But as they say, Don’t Let Reality Get in the Way of Your Nerdiness. I only quote this exact line every third day, SO, having it on my wall would be useful. And plus it’s a subtle nerd references, so only dedicated As You Wish fans would get it. I really really like mugs. They make me so happy. I could easily have room full of books next to my room full of nerdy mugs. I would then probably have to live outside in the cold sad rain. BUT IT WOULD BE WORTH IT. Cait mostly embraces her inner nerd on Pinterest. There she quietly pins Things of Awesome from Supernatural to Lord of the Rings to The Fault in Our Stars. Because she has awesome taste like that. Besides coveting mugs, she’s still reading CROWN OF MIDNIGHT by Sarah J. Maas and fangirling. Intensely. I basically need that Lemony Snicket bag to function as well. I mean, how am I LIVING HERE RIGHT NOW? I NEED THESE THINGS ASAP. Eeep. That is INCREDIBLY good to know. But those mugs…I know right?! I have an eternal birthday wish list for them. I just googled the pictures though…so I have NO idea where they all came from. Just type in "literary mugs" and all the sites pop up. UNHINGED. UNHINGED. SEE?! WE ARE FALLING INTO THE RABBIT HOLE THERE TOGETHER. Notebooks are just awesome to HAVE. I have such nice ones and….what do I put in them? My horrific handwriting? I'd rather admire them, honestly. I MISSED YOU TOO. It was so weird not having a loony post to read every morning! Laughing-out-loud-inside-my-head-because-really-no-one-ever-laughs-out-loud-even-if-they-type-L-O-L at the iPhone cases! But yeah. I'd love to encase my hypothetical iPhone with the Great John Green too! And can I just say those TKAM pencils are downright awesome? Okay, those TKAM pencils are downright awesome!In a not so related piece of pie, however, "if I have stuff that needs carrying, well, that's what Mime is for" is pure evil! Haha! Those TKaM pencils are like an incredibly huge NEED in my life. I don't know how I can properly function without them. And there is always a need for anything nerdy involving John Green references. Mime is my little pack horse. She doesn't loathe her place in life at all. Nope. Not at all. Aw, thanks for the follow, Lozza! I NEED TO STRIKE GOLD. THAT WOULD SOLVE EVERTHING. I love your post! The AIW shoes are so awesome. I love the mugs, too. I'd love a PB poster too… although, I'd love it to say "My name is Inigo Montoya. You killed my father. Prepare to die. ", or simply, "As you wish." I know, right?! I'm totally so in love with those shoes… I've seen one with the Inigo Montoya line on it too!! Exactly! Why don't I HAVE them either?! It's a mystery, honestly. OMFGG I officially NEED one of those TFIOS tshirts! Thanks so much for posting all these awesome stuff, I love geek stuff! The AIW shoes…oh gosh…I'm still swooning over them. YOU AND ME BOTH. And I cannot ship them BECAUSE I WANTS THEM ALL PRECIOUSSS. 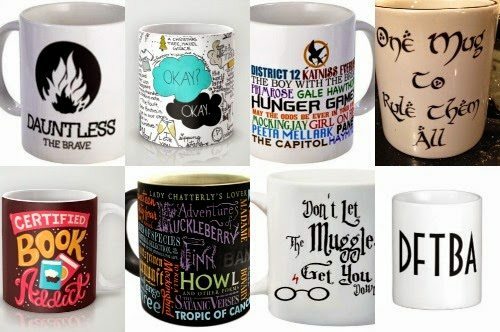 Okay, now I really want all of those mugs. And the John Green iPhone cases. We shall have a glorious collection of the most nerd mugs of ever. And we shall be happy. WHY ARE YOU APOLOGISING?! ALL CAPS IS A FANTASTIC WAY TO SHOW THE INTENSE NERD SCREAMING INSIDE ONESELF. MUGS. OH MUGS. oh no! lol I didn't link it right.I hope this works! Aw, thanks for the follow and I'm toootally checking out your blog! Holy. I NEED THAT SAURON'S EYE FOR MY LAPTOP. It's so cool! Great list! SO DO I. My computer would be so much cooler. OH MY GOSH, ANGELA. HOW COULD YOU SHOW THAT TO ME?! I NEED THAT. I NEED THAT BADLY. Me too!! I would totally use it like every single day. It's just awesomeness personified. I'm adding the Eye of Sauron Apple cover to my birthday list for certain!!! Eeep! The shoes!I think I need the Loki ones. :)Have a great day! I would NEVER TAKE THEM OFF. Thank you for basically just compiling my birthday wish list for me right there 🙂 Definitely AWESOME. I'm digging the Okay? Okay shirt and cheshire cat shoes for sure! I just…ohhh gosh…I just really need those shoes SO bad. Ooh! I need those shoes! I love them! And the Hunger Games notebooks… and the pencils! Awesome list! Thanks for stopping by my blog earlier! The notebook/pencils are practical, right? So I NEED THEM, right?! logical. AMAZING LIST! I see so many things that I want, and quite clearly need in my life 😉 I want all the mugs ever too, and those Loki shoes. TFIOS shirt is amazing, I have seen a jumper like that and I want it… better suits the weather here ;). Gah, so many bookish things that I want. Great list! Here's my TTT. What a great list of items. I love the TFIOS tshirt. I need it in my life. That is all. You can get the most awesome nerdy cases ever, though, right?!! awesome list! Love the Alice & Loki Shoes!!! ARE THEY NOT JUST BEYOND AMAZING?! No no no….MINE. xD But I know right?! That Lemony Snicket bag…I didn't even know they existed until recently and now: NEED. I probably wouldn't have that problem if I owned the TFIOS shirt beeecause a) stay inside, and b) I usually wear jackets over my particularly nerdy shirts. I'm not ashamed, I just…awkward conversation starters! It's hard enough explaining my mockingjay necklace. XD BUT NO. THOSE ALICE IN WONDERLAND SHOES ARE MINE AND I NEED THEM SO SO MUCH. I AM FIRST IN LINE. YOU AND ME BOTH. N'awww, thanks for the follow, Kritika!! I need a TFiOS shirt too! And TKaM pencils! I didn't know I wanted that until this post. So much love for Atticus Finch. And of course I agree with the bookish mugs. And the iPhone cases (I also need an iPhone first). Love this list! I nearly HUGGED my laptop when I saw that pic! Absolute brilliance! What a shame your birthday is so far away. There's such a thing called "spontaneous gifting" if you feel inclined you know. I KNOW. JUST GAZE UPON THEIR AWESOMENESS. *strokes computer screen* I need these Loki shoes quite badly too…. ETSY WILL BE TEH DEATH OF ME. 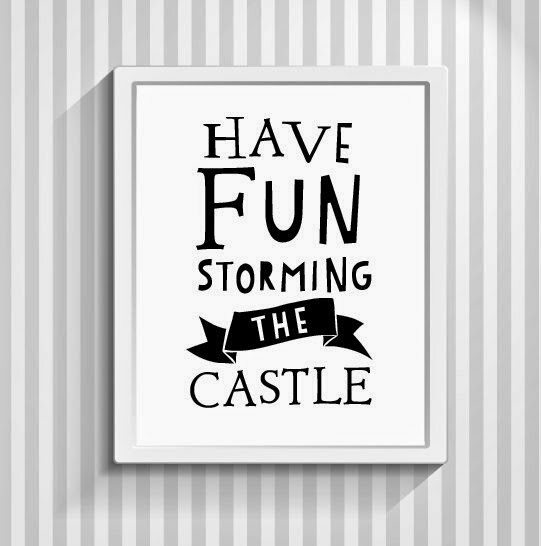 Honestly, I'm hugely content with life and what I own….until I get on etsy and realise ALL THESE THINGS I need desperately and gah…*buries self in Etsy pins* Superheroes are my secret (har, har, not very secret anymore) obsession. I could do EVERYTHING superheroes. Shoes are a must, though. BUT I KNOW RIGHT?! THAT BAG. THAT BAG.